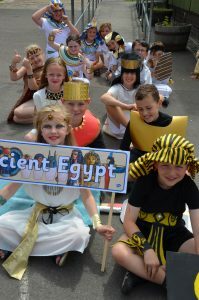 At Hutton CE Primary, the Humanities curriculum aims to inspire in pupils a curiosity about the world and its people. We aim to develop pupils with a chronological knowledge of Britain’s past and key events in world History. As well as learning about the wider world the children’s learning is centred around the school’s locality. Using the local environment enables the children to learn through direct experience and first hand investigations. 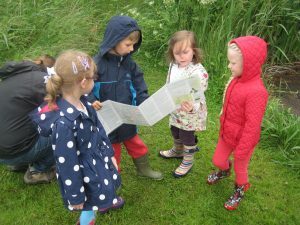 Walks around the village of Hutton, visits to the local farm and nearby nature park, places the children’s learning in a personal context for making experiences real and meaningful. Children at Hutton learn about contrasting environments, cultures and historical events through cross-curricular themes, incorporating a creative range of activities, such as Art, Drama, Poetry, Music, Dance and Design & Technology. Locate hot and cold regions of the world. Identify, name and locate the World’s continents and oceans. Compare a local area to a non-EU country. Study immediate environment and use fieldwork to observe. Study a contrasting UK region. identify physical and human features. climate, rivers, mountains, volcanoes, earthquakes, settlements, trade links. Use fieldwork to record and explain biomes, vegetation belts, land use, economic activity. Identify countries and capital cities of the world. Study a region of either Europe or the Americas. Discuss Latitude, Longitude, Equator, Hemisphere, Tropic, Polar circle, Time zones.